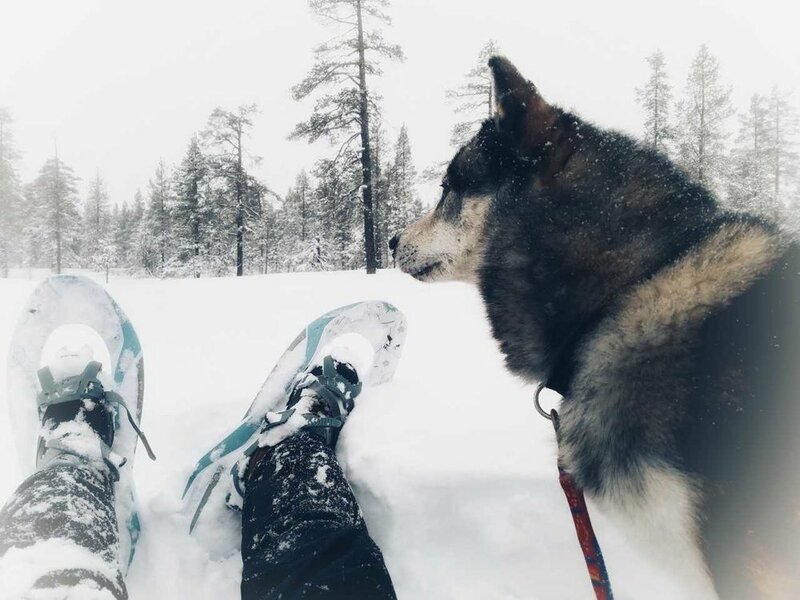 Snowshoeing is a great way to enjoy Lapland’s beautiful nature. Breathe in fresh and clean air - let’s get some exercises. 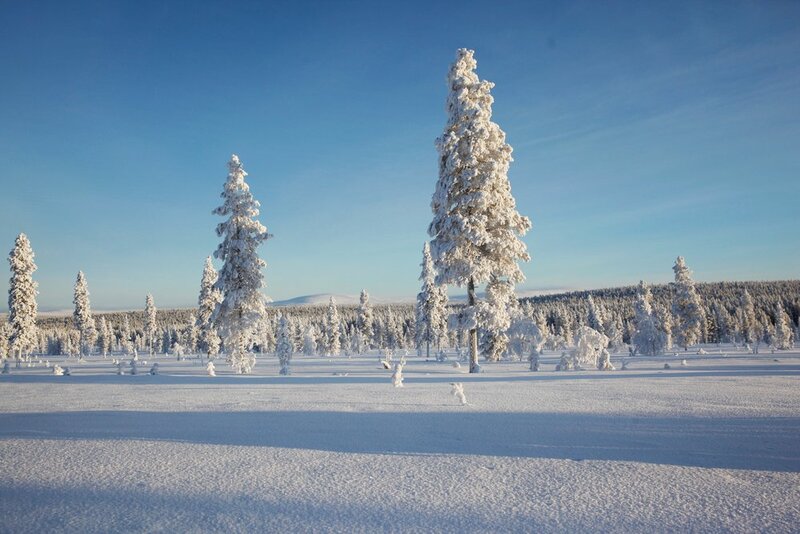 We will guide you through winter trails in Urho Kekkonen National park, and make stops in scenery places to make photos, also a nice picnic in wilderness with hot juice and snack. Previous experience is not required, only bring your adventure spirit, we will prepare you the rest. Our guide will adjust the trip according to the whole groups physical condition. Walking under starry sky and blaze of Northern Light is a dream experience. Our guide will lead you with snowshoes through snow covered forest. You will have plenty of time to enjoy the silence and make photo for memory. If you are lucky, the mysterious magic will show up in surprise. Please note : Northern Light is natural phenomenon, we are not able to predict its appearance, activity and colors. But we will do our best to make sure you enjoy the hike. See the snowy landscapes from the saddle of the fat bike! Big tyres and electric assist will help you to climb over the hills. The trip will start from Husky & Co. office. The speed and track is chosen according to the skills of the group and the trail can be modified even during the tour. Participants should have suitable out-door clothes, if the weather is cold warm gloves and shoes are extremely important. Participants don't need to have earlier mountain biking experience, but an average physical condition is needed. 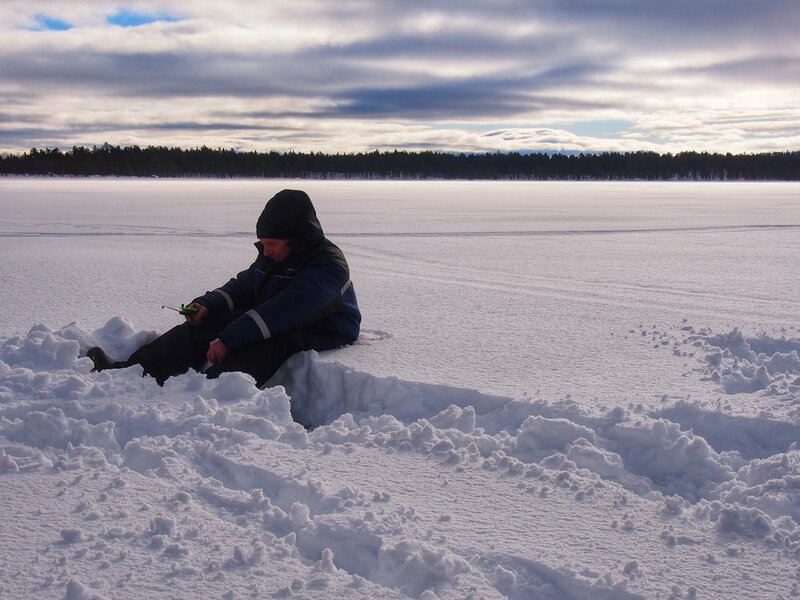 A traditional relaxing habit that all Lapland resident loves, to drill a hole through the thick ice, bait on hook and see if you can catch a perch, trout or arctic char from the ice-covered wilderness lake. Fish is not guaranteed, but patient is always the key. Hot juice and snack will be served by the open fire – and of course the fish will be grilled, if the fish is eatable size)! Our guide will meet you at the meeting point and you will start driving with the minivan, heading to Inari, about 70 kilometers to North from Saariselkä. While driving you will see beautifull landscapes. We start our day visiting SIIDA museum- It is a window to Sámi culture and the diverse nature of Northern Lapland. At Siida, you can acquaint yourself with changing exhibitions on culture, art and nature throughout the year. Lunch is arranged at SIIDA’s cafeteria – Sarrit. After the museum, there is about 1h free time on your own to see the Inari village before driving back to Saariselkä.